PackshotCreator will be in Cologne for 4 days! The international photography exhibition Photokina takes place at Cologne twice a year. This edition already provides a lot of announcements with especially the presentation of 24×36 hybrids from Canon and Nikon. 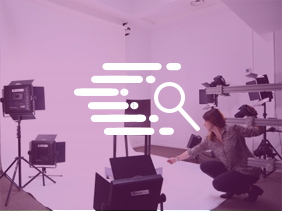 This year is the opportunity for PackshotCreator to introduce a big part of its innovations, launched in 2018. From next Wednesday, 26 of September, the leader of the product photography market for 15 years will introduce his major innovations during this trade fair. 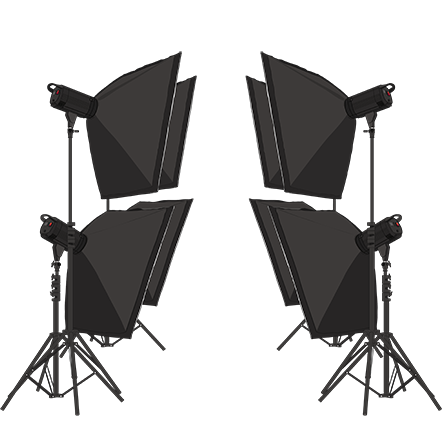 Launched at the beginning of June 2018, this solution totally has the look of a conventional studio: softboxes, LEDs torches, cyclo background, camera and tripod… With one exception: all the set is driven by a software. The operator no longer needs to go back and forth between the workstation and the set. The lighting intensity, the camera settings, the shutter release are totally controlled by the PackshotCreator software. Step by step, it accompanies the novice operator in product photography, and offers features to the experts more than beneficial to their production needs. PackshotCreator is still making progress towards its customers in order to provide them the best solutions for their product photos and, this new studio is a concrete example. Gemstones are all different. Only one type of lighting is not enough to get a perfect visual preview, faithful to the reality. That’s why the PackshotMacro DL has been finely designed with a lighting system composed of two color temperatures. 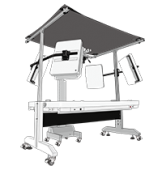 This solution includes 10 lighting zones. 8 of them have two color temperatures: 3000°K LEDs and 5700°K LEDs. Only the background and the floor are composed with 5700°K LEDs, giving systematically a pure white background. So, the PackshotMacro DL offers a tailored lighting for each gemstone. So much features studied and shaped for an easy, efficient and productive experience of product photography with PackshotCreator. Moira, Laurent and Océane will be glad to introduce you to PackshotCreator solutions during the 4 days of Photokina! Just be curious and book a meeting! Who do I contact for a demo? 360 degree photography turntable : how to create animation with animals? We have been creating many 360° animations for clothes with pretty models, so why not try the same with animals? 360 degree photography turntable is the way to do it!